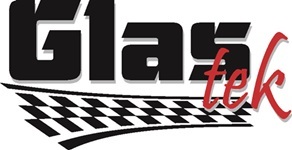 Glas Tek Is A Preferred Nationwide Auto Glass Partner! If you’re searching for an auto glass shop that will assist you with your Nationwide Windshield Replacement claim, contact Glas Tek today! Glas Tek is a Preferred partner of Nationwide insurance, so you know that their craftsmanship is up to the insurance company’s usual standards. They also have a positive working relationship that includes a complete payment plan, ensuring that you never need to pay for anything out of your own pocket if you’re fully covered! Better yet, Glas Tek offers $50 cash to every customer with an approved Nationwide Auto Glass claim. If your policy has a deductible, this $50 may be used toward it. If not, you can spend the money wherever you want! Best of all, Glas Tek will guide you through the claims process to ensure that your vehicle may be fixed as expediently as possible. Any questions you have will be handled by a professional, and you will be assisted in getting Nationwide on the phone. You will next be asked a variety of questions over your fifteen-minute phone call with Nationwide, including your policy number, the state in which the damage occurred, and the overall condition of your auto glass. If you fail to recall any of the precise details, Glas Tek can help you estimate them to the best of your ability. If your claim gets approved, Glas Tek can service your vehicle either at your home or your place of business without any additional charge. This ensures that the auto glass repair experience is as convenient for you as possible. Arizona is one of a minority of states that prevents insurance companies such as Nationwide from increasing your monthly premium due to an auto glass claim, so you can use your insurance without worrying about higher monthly insurance payments. Contact Glas Tek today to start your Nationwide Windshield Replacement claims process! Posted in Nationwide | Comments Off on Glas Tek Is A Preferred Nationwide Auto Glass Partner! Nationwide auto glass replacement and windshield repairs are made easy with Glas Tek. We are a preferred Nationwide auto glass replacement shop and are backed by Nationwide’s nationwide lifetime guarantee. That’s a double guarantee; Glas Tek has their own nationwide lifetime warranty. This should give Nationwide policyholders the confidence that they are choosing the right auto glass replacement shop. It get’s even better, by choosing Glas Tek for your Nationwide auto glass replacement you will receive $50 FAST CASH for just using their services. Yes, it’s true, you get paid for selecting Glas Tek to perform the work on your vehicle. But, don’t worry, we don’t upcharge your insurance company and there will never be any additional out-of-pocket expenses for you either. Plus, having your Nationwide auto glass replaced with us will never increase your insurance premiums! Nationwide insurance utilizes a third-party administrator named Safelite Solutions (SGC) to file auto glass replacement claims on their behalf. Glas Tek is an Phoenix Arizona “Nationwide Preferred Auto Glass Program Participant” so all work is guaranteed and backed by Nationwide insurance nationwide. In addition, Glas Tek honors Nationwide’s contract pricing so that there will never be any additional out-of-pocket costs to you. 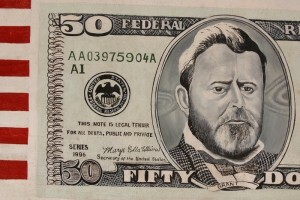 Plus, you will get $50 CASH NOW! with and Nationwide auto glass replacement claim. Nationwide now requires the policyholder to be on the line to file an auto glass repair or windshield replacement claim. Glas Tek will conference you directly with a Nationwide auto glass claims representative and will help you file this claim. Nationwide will need to ask a series of questions to process your auto glass repair claim. Once the claim is filed, Nationwide will be able to verify coverage and give Glas Tek authorization to perform the work. Below is a list of the questions that will be asked by the Nationwide auto glass replacement claims representative during the claim process. Typically, these conference calls can be completed in less than 15 minutes. Upon, the connection with Nationwide, the representative will announce that your call will be monitored or recorded for quality purposes and that Safelite Solutions (SGC) is “financially affiliated” with Safelite Auto Glass. This is “only” a legal declaration and in NO way obligates you to use Safelite Auto Glass. Always remember, per Arizona State Law ARS 20-469, “You have the Right to choose your auto glass repair service provider”. Plus, Glas Tek is a preferred Nationwide auto glass replacement & repair shop so there are no risks or concerns. Nationwide will waive any comprehensive deductible for a windshield chip repair. Therefore, if you have a small chip (less than 3 inches) and you do not have a glass waiver on your policy. Nationwide will still pay the cost of the windshield repair with no cost to you. Nationwide offers this benefit to prevent full windshield replacement expenses for the future. However, if you do carry the auto glass endorsement on your policy they will also recommend that you try to repair first. No worries, if you are not completely satisfied with the windshield rock chip repair Nationwide will approve a windshield replacement too. 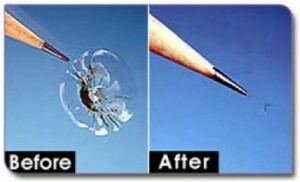 Keep in mind, windshield rock chip repairs never fully disappear when completed. It is not a cosmetic fix by all means. However, it will clear up to 80 % and keep the break from spreading further, in most cases. No two windshield chip repairs come out alike. There are many factors that determine the outcome of a windshield repair including the size, location on the glass, type of break, and how long the break has been on the windshield. Windshield repairs are quicker than a full windshield replacement and only take about 20 minutes. Call us today, and we will help you file your Nationwide windshield repair or replacement claim and schedule a convenient mobile appointment. 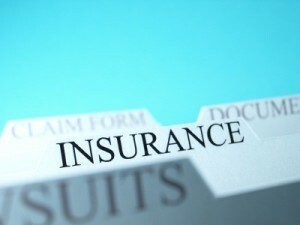 Nationwide insurance is best known for two things – its vanishing deductible and its high level of coverage. While it never seems to get the same level of press as State Farm or Allstate, it stands alongside these giants of the industry in terms of coverage. The vanishing deductible program is also a great deal for safe drivers – it adds $100 per year for each year without an accident, eventually covering deductibles up to $500. 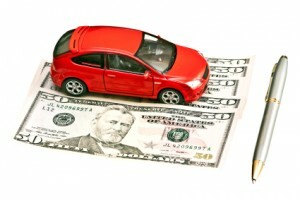 This makes it far easier for some drivers to deal with a relatively low premium payment and a higher deductible. There are remarkably few complaints about Nationwide, and those that do exist are fairly minor. Nationwide does not offer some of the more common discounts offered by its competitors, which makes a bit of sense – it is already a relatively inexpensive insurer, so the odds of it being able to shave anything else off the price is low. The company itself also gets a bit of flack for not being terribly mobile friendly, leaving its customers without the ability to conduct much of their business with the company through a cell phone. Given that these issues have little to do with actual coverage, they are easy to discount. Nationwide is one of the few insurance agencies that is easy to recommend without reservations. It is not the least expensive company out there, but its policies offer great coverage for the price paid. The vanishing deductible is a great reward to safe drivers, and the ease of customer service will make even the most accident-prone driver happy. Nationwide has a relatively high level of customer happiness, and most with policies do recommend the company to friends. This is very high praise in the insurance industry, and certainly something that should not be ignored by those searching for a new policy.